Happy Quilting: I Love Teaching!!! 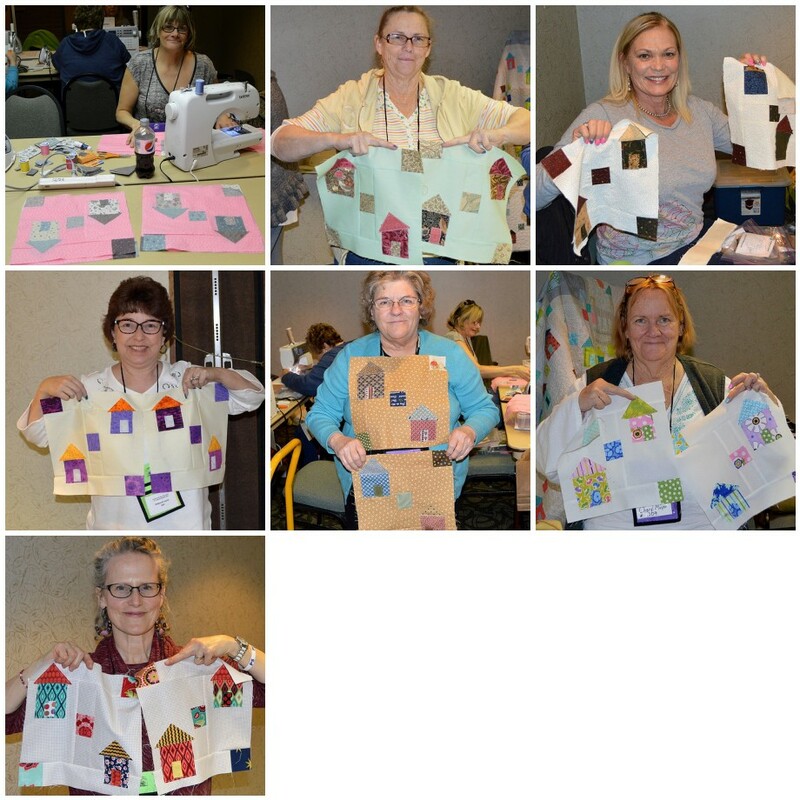 Last weekend was the Annual Cedar Chest Quilter's Guild Retreat. This retreat is held in my home town of Cedar City, Utah and it was their 10th Anniversary so it was super special ;) One of my favorite things about this retreat is it always starts off with a meet the teacher night and then a Show and Tell. 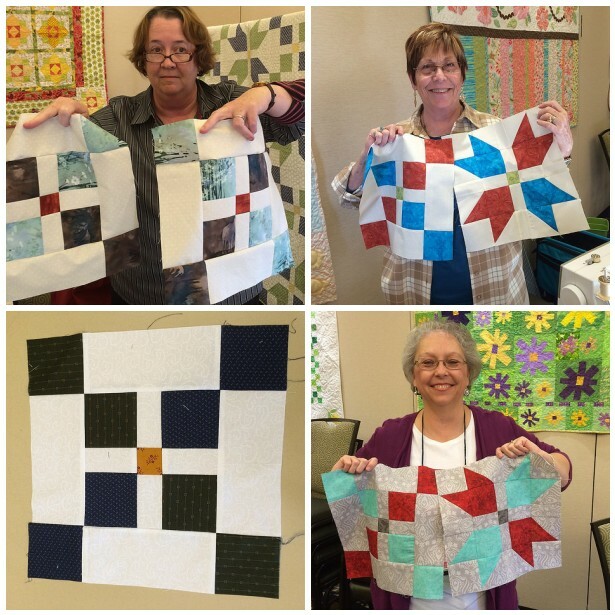 Everyone gets to bring finished quilts that they have taken classes on in previous years. I can't begin to explain how fun it is to see those block starts from classes come back as finished quilts!!! 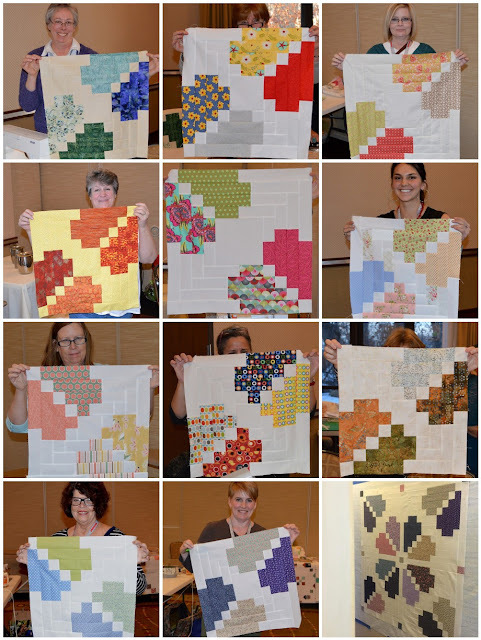 These were some of the quilts from the Petal Pop Class I taught last year. On Friday night of the Retreat, we all were in for a very special treat!!! Amanda Herring and Sandra Workman were the National Teachers of the year and put on an amazing Trunk Show that was also doubling as a fantastic and inspiring presentation on Creativity. They shared their top 10 aspects for your Creative Journey which were 1- Take Risks 2- Inspiration 3- Patience 4- Dream Big 5- Be Curious 6- Challenge Yourself 7- Creative Source 8- Believe In Yourself 9- Be Generous 10- Live a Creative Life :). It was absolutely amazing and left me feeling so incredibly blessed to be able to do what I do. Following the trunk show we had the All Night Sew!!! And yes, this is just waht it sounds like. 150-200 women gather together and the sewing machines start humming. We sew, and sew, and sew, until we can't see anymore ;) I made it until 3 am but my last class was the next afternoon so I figured I best get some rest ;) Oh, and did I mention along with sewing, they give out prizes, prizes, and more prizes!!! So much fun!!! 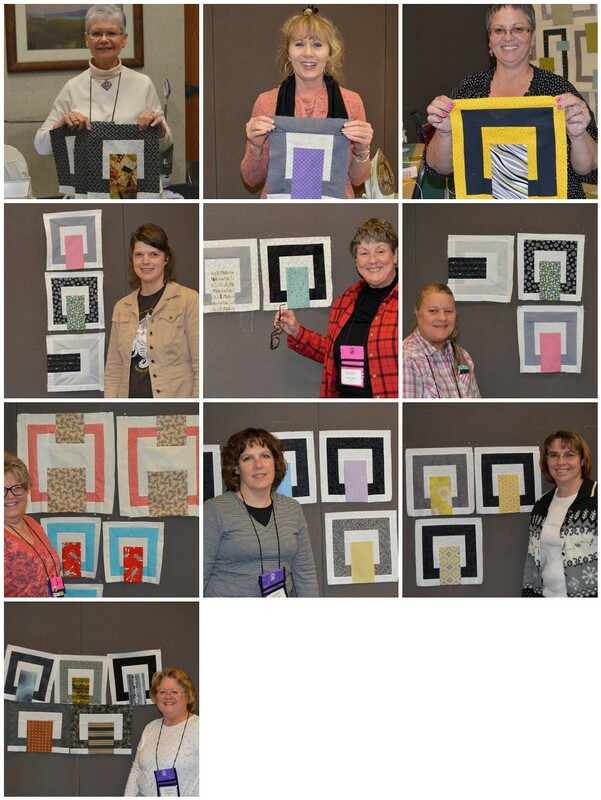 The weekend before was the Annual Winter Quiltfest Retreat held in Logan, Utah!! 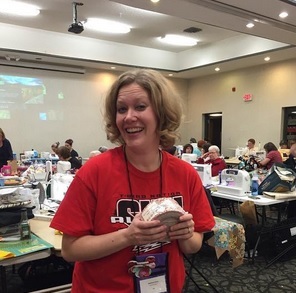 This was my first time teaching at Winter Quiltfest and I can say I surly hope it isn't my last. I loved, loved, loved it!!!! What an amazing fun retreat :) The retreat is run my Amy Maxfield and her family and they were just amazingly wonderful people to work with. What a joy!!! As soon as I arrived I got to say Hi to my wonderful friend Amy Smart and also got to meet a brand new and incredibly amazing friend, Jen Kingwell. They were both the Featured Teachers of the retreat and I just loved being able to sit and chat with them. I got to catch up with Amy as we normally only get to see each other at Market, and I got to learn all kinds of wonderful and amazing things about Jen. So fun!!! The next morning was my first class. 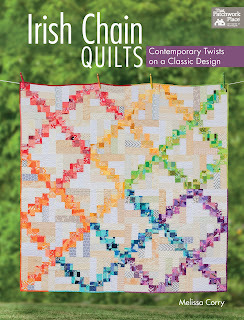 I taught my Braided Irish Chain pattern and what a fun class it was!!! Everyone picked up on the pattern so quickly and the machines were just humming away. I love that this design is put together with three different blocks because it is so fun to see how excited everyone gets when their little blocks turn into a giant block and they see the design come together. What an awesome class this was and I just loved getting to know all of these amazing ladies!!! In the afternoon that day, I taught my Petal Pop class. And once again, it was full of just some amazing ladies!!! So much fun!!! This class is always a little worrying at first, because the block seems like it goes together backwards, but everyone picked it up quickly and was turning out blocks in no time. 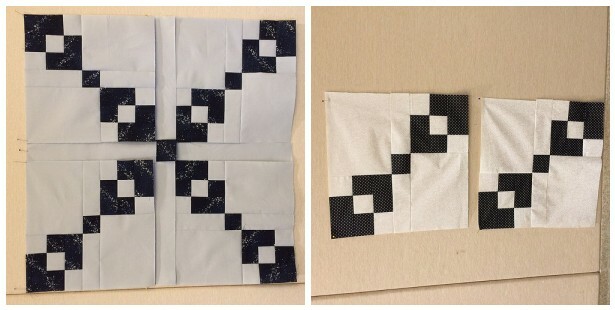 I even got an email from a class member this week who finished her quilt top already!! See it in the bottom corner. So fun!!! The evening finished with an amazing trunk show by Jen Kingwell!!! And oh my, can you say jaw dropping!!! This gal blows me away!!! She hand pieces her quilts, yes I said hand pieces her quilts!!! And I absolutely love how full of color all of her quilts are. She uses 200 plus different fabrics in her quilts. Just amazing!!! My only regret of the retreat was that due to my schedule, I wasn't able to take a class. I know I am a horrible hand stitcher but I sure would have loved to learn from the master. I was only there for a day, but oh my goodness, I just loved it!!! The classes were amazing, the food was absolutely delicious (seriously, I was tempted to take a picture of my plate and share it ;) and everyone was so nice and friendly!!! I am so looking forward to making this an annual trip ;) What a wonderful retreat!! And I also taught my String of Pearls class. And even though these gals were a little camera shy to be in their pictures, they were absolutely lovely to teach and get to know. We had such a wonderful time in class. 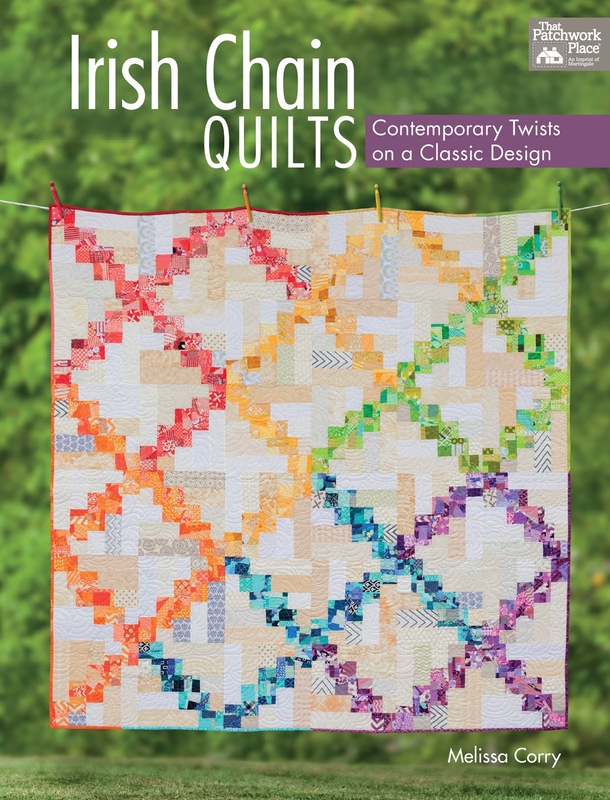 And I finished the evening out with a Trunk Show from my Irish Chain Quilts book. 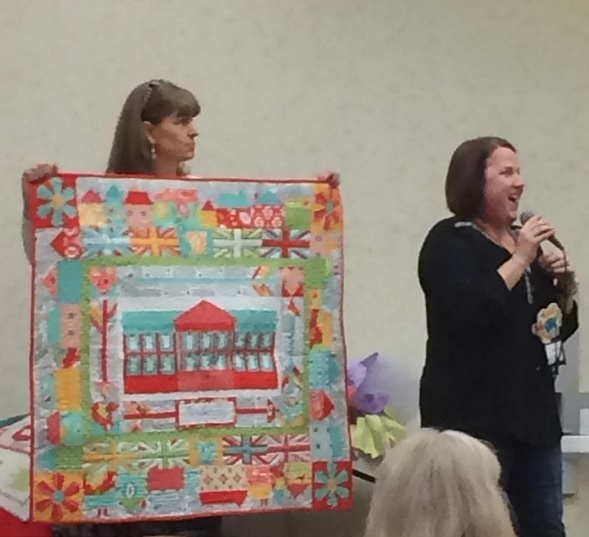 I got to share the quilts from the book and a bit about the designing, inspiration, and joy in writting the book. And of course, I didn't think to give my camera to anyone to take any pictures. But it was fun, just trust me on that one ;) It was a wonderful finish to a wonderful day!!!! 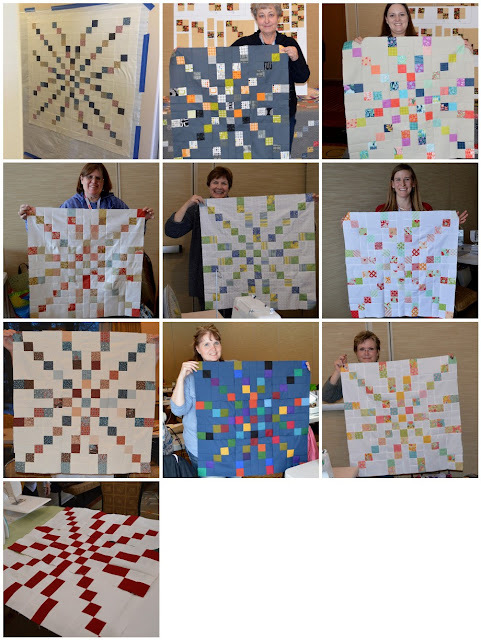 I hope you all have an amazing weekend filled with lots of Happy Quilting!!!! Your descriptions made me almost feel as if I were there! I wish I lived closer (I'm in Michigan), so that I could be there some day!! So great and looks you have fun.Love all the projects and pics. You sound like the most natural and contagious excitement kind of teacher Melissa, but then we already know that from Happy Quilting! Someday it would be a real joy to take one of your classes! I Couldn't Stop and Finished the Rows!!! 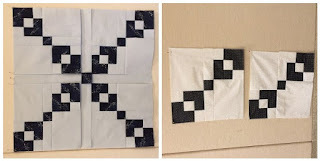 Crossroads Quilt Along - House Block!!! Trunk Show with the Red Rock MQG!!! Blocked In - I Love Log Cabins!! !